Amidst the idyllic grounds of Planting Fields, William Robertson Coe 's arboretumestate in Oyster Bay, the State University College on Long Island opened in 1957 to prepare students for careers as science and mathematics teachers. A permanent campus was later established in historic Stony Brook on a four-hundred-eightyacre site donated by philanthropist Ward Melville. The images presented in Stony Brook: State University of New York chronicle the evolution of a teacher preparatory college into a world-renowned university that has made significant scientific, technological, academic, and artistic contributions in its forty-year history. 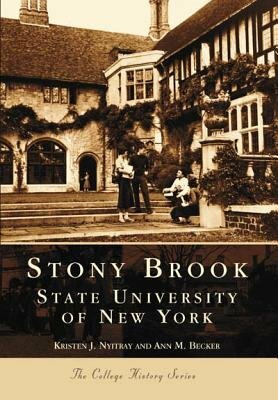 Each photograph in Stony Brook: State University of New York is accompanied by descriptive narrative that illustrates the defining events in the history of the campus, including the university 's founding at Planting Fields, the creation of the Stony Brook campus, Pres. John S. Toll 's recruitment of top faculty, Pres. John Marburger III 's expansion of the university 's vision, and current president Dr. Shirley Strum Kenny 's commitment to the state 's original mandate "to stand with the finest in the country. "